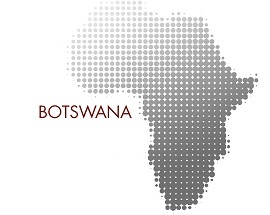 Useful facts, information and hints and tips about life in Botswana. Read about all the different permit options for immigration to Botswana. Read about our services, how we assist with all Botswana permits and visas as well as relocation issues. Learn here about obtaining your travel visa for Botswana, special passes and the entry requirements. Intergate Immigration specialises in assisting companies with obtaining work permits and visas for Africa, including work permits for Botswana. We also offer all other tyypes of permits and visas for Botswana. Further, we offer a number of relocation services to our clients to allow applicants for work permits, and the companies for whom they work, to settle into their new environment in Botswana. The process for acquiring a Botswana work permit is seen to be a daunting task. Communication can complex and frustrating. By utilising our Botswana work permit service both the employer and employee (along with their family) benefit from an outsourced management of the work permit application process along with any relocation requirements. Intergate has an in-house team that comprises of years of experience and expertise. This in turn is supplemented with our representatives in Botswana, which means applicants also benefit from in-country assistance to overcome any concerns, frustrations or problems they may encounter. Our role is provide the employee, any family and the employer with a service that minimises hassles and inconvenience and exceeds service expectations. If you would like to learn more about our Botswana Work permit service than please email us here or telephone us on +27 (0) 21 4242460. Assess your eligibility for a work visa for Botswana and talk through your requirements by completing our eligibility form here. No fee and no obligation.